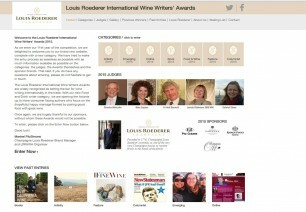 We are delighted to announce the launch of our new-look website for the 11th annual Louis Roederer International Wine Writers Awards. The website was redesigned not only to reflect the new packaging launched in 2014, but also to facilitate the entry process for candidates. As the LRIWWA enter their second decade, we are proud to announce the addition of a new category – the Pio Cesare Food & Wine Writers Award. The objective of the Award is to celebrate all those who write about the natural and harmonious marriage of good food with great wine. One of the key features of the LRIWWAs is the quality of the judges it secures, and this year is no different, bringing together five key figures in the industry with a wealth of experience and expertise behind each of them. The ceremony will take place once again in The prestigious Royal Academy of Art, in 6 Burglington Gardens. The event will also mark the closure of 6 Burlington Gardens before its renovation process due for completion in time for the Academy’s 250th Anniversary in 2018. As ever, we are extremely grateful to our generous sponsors without whom these Awards would not be possible. This year we are delighted to welcome back Domaines Ott, Domaine Faiveley and Ramos Pinto as well as welcoming Pio Cesare as the sponsor for the new Food & Wine Writer Award.